Jorge Diaz stands 168cm high and thus is 10cm smaller than his team on average. Jorge Diaz is currently seventh in Super League (Greece) and third in group Gr. 3 of Greece Cup (Greece) with his team Panaitolikos. He is five years older than his team's average age, as he was born on 28.06.1989. So far in the 2018/2019 season, he competed in 23 fixtures. 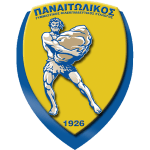 In July 2017, Spanish midfielder Jorge Diaz joined Panaitolikos (Greece), whom he is still playing for. He prefers to play with his right foot, as do 82% of his teammates. After an overall look at his career, we can see that he was substituted in 43 times but never out. In the active season, he was taken out more often just like in the previous one. 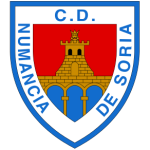 Jorge Diaz's shortest stay in a club was four months in Numancia CD (Spain). Throughout his professional career, he participated in 145 games, the last appearance being six days ago. 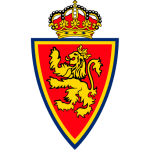 His longest stay in a team counts one year and 11 months in Real Zaragoza (Spain). Throughout his time as professional football player, Jorge Diaz was sanctioned with a card 26 times resulting in a mean value of 2.6 cards per play time. This season he was given eight yellow cards. At 158.73lb, he carries 2lb less than the average Panaitolikos player. 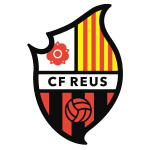 Concerning the latest matches, his club lost in Super League plus lost in Greece Cup. This season Jorge Diaz scored no and assisted no goals. On average, he hit the net not once per match this season which is a worse performance than last year's. Back then 0.17 goals and 0.03 assists per match have been achieved. 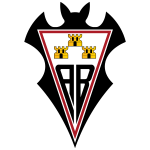 Prior to joining Panaitolikos, he played for Albacete Balompie, Numancia CD, CF Reus Deportiu and Real Zaragoza. Panaitolikos'' number 11 is Jorge Diaz. Segunda Division 16/17 (Spain) has been his best season so far since he reached both his personal highest amount of played matches and given assists. Besides Jorge Diaz, there are ten more midfielders in Panaitolikos'' lot: Efstathios Belevonis, Tasos Tsokanis, Adrian Oscar Lucero, Frederico Duarte, Dimitris Dalakouras, Ilias Gianniotis, Angelos Tsingaras, Marcos Paulo, Guga and Franco Mazurek.